Nadia Belerique, from the series, above and below and so on forever , 2019. Courtesy of the artist and Daniel Faria Gallery. 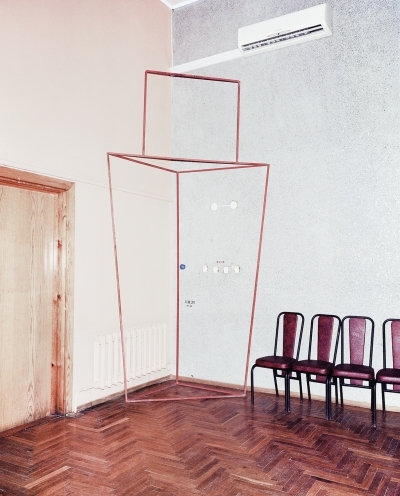 In her work, Nadia Belerique complicates the way we look at images. She often alters conventional photographic perspectives or re-photographs prints in her studio to create multi-layered images that conflate places and moments. For above and below and so on forever, Belerique brought her studio outdoors in October 2018, composing and shooting a series of still life photographs in the Don River. These images form a site-specific installation for the bus terminal windows at Castle Frank Station. Many of the objects in the photographs were collected from the Don River itself, with the help of artist Seth Scriver, who has for years dredged various items and centuries-old artifacts from the river and its banks. Belerique and Scriver uncovered bottles, shoes, shopping carts, dishes, tires, and golf balls—traces of the Don River’s history as a former dump site and evidence of the river’s trajectory through downtown Toronto and along the Don Valley Parkway. Belerique staged and photographed these found objects alongside the river’s leaves and flowers. She then re-photographed the images in her studio through a pane of glass, giving the Don River an artificially flat surface. At Castle Frank the photographs follow the station’s linear architecture so that the sequencing of the bus terminal windows mimics the flow of the river. 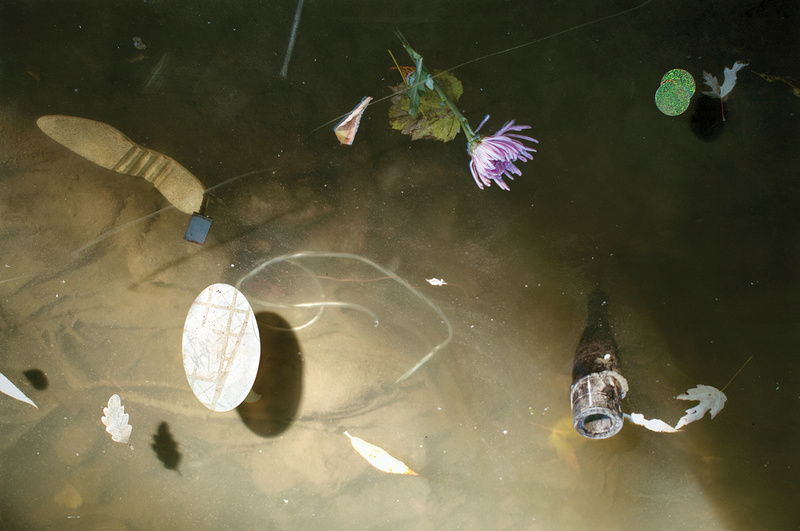 Installed on glass, Belerique’s photographs are semi-transparent, revealing the shadows of passersby behind the station windows, buses, and buildings and producing a strange sense of depth: the bottom of the river is indistinguishable from its surface, with objects and detritus filtered through murky, silted water and muted October sunlight. Here, the photographed landscape merges with daily life at Castle Frank. Castle Frank Station sits at the edge of the Don Valley, and the project literally brings the river up into the city and maps it onto the built environment. The installation surrounds the viewer in a landscape that is as natural as it is altered, inhabited, and manipulated. above and below and so on forever doesn’t romanticize the urban landscape, nor does it reproduce the tropes of landscape or still life photography. Instead viewers are asked to consider how they see both a river and its representation.